If you’re a recruiter, you know how tough it can be to find the right candidate for the job. You’ve got dozens and dozens of sites to scour, not even taking social networks into account. And that’s before you can find the best candidate. When sourcing new candidates, you have the opportunity to use several digital platforms. That’s why we’ve aimed to make your life a little easier. Here are some of the best and most useful online platforms you can use to source new candidates. We’ll start with the most obvious platform, LinkedIn. Odds are, if you’ve looked for a job (or just looked at candidates) within the past decade, you’ve used LinkedIn. The site has a reputation of being the best social networking site for job seekers, and for good reason. According to LinkedIn’s own stats, 70% of users who changed jobs attribute the site to helping. Plus, an estimated 75% of recruiters suggesting that LinkedIn helped their process. If those numbers don’t convince you, nothing will. Now that you’ve got a wide pool of talent, it’s time to utilize one of LinkedIn’s greatest strengths: InMail. Think of InMail like your own microcosm of candidates. It’s essentially a hub that allows you to see candidates that have applied for your jobs. InMail gives you the ability to tag job seekers based on skills, location, and other variables. While other sites have similar features, few are as specialized and robust as InMail. Since you’ve put in the work to source your candidate, you’ll know they’re qualified. All you have to do is reach out! With around 1.79 billion (you read that right) registered accounts, our next tool may surprise you. Yes, believe it or not, you can absolutely use Facebook to source new candidates! In fact, while it may not be a dedicated job hunting site, it has a few advantages over its competitors. By sourcing candidates on Facebook, you’ll be able to get a more ‘real’ look into their daily lives. Job seekers tend to put their best foot forward on other sites. And for good reason, they’re out for a job. But people tend to let their proverbial hair down on Facebook. Plus, you can see how much of a potential liability a candidate could be. They may have the skills you need, but those drunken photos in Cabo don’t lie. There’s also one of Facebook’s greatest strengths, it’s search function. Facebook’s search function is vastly underestimated. While you can use the search feature to find the best restaurants in your area, you can also use it to info about users. And then there’s Facebook Messenger. Depending on how long you’ve been a recruiter, you may be tired of cold emailing candidates. It can feel a bit awkward at times, and the results aren’t always staggering. Facebook Messenger is a far more relaxed approach. Plus you’re likely to hear back from a candidate faster. We may not check our work emails after hours, but everyone checks Facebook. Yes, believe it or not, Reddit is good for more than just cute dog memes and controversy. In fact, it can be a great way to source your next batch of candidates! Reddit seems to be an anomaly of sorts to most of the internet. While Reddit carries a bit of a stigma, it has enough splintered communities that anyone can find a group. It’s a double-edged sword, but it’s also one of the best things about Reddit. It’s a niche website, to begin with, and you can use that to your advantage. See, Reddit isn’t just a collection of forums where users can engage in discussion. It’s also a useful job hunting tool. There are entire subreddits dedicated to helping users find jobs, and connecting them with recruiters just like you. While you can be sure to find candidates on /r/jobs, the primary sub for potential employees, you can delve deeper. Reddit includes industry and location specific subreddits, as well. Odds are, your city has a subreddit dedicated to helping citizens find jobs. And most offer a helpful system that lets you filter out job seekers from other recruiters. Here’s another unexpected source for recruiters! Pretty much every single company under the Sun can be found on Twitter. After all, it allows for quick, easy communication between multiple parties. Social networks like Twitter offer a chance to connect in a more personal manner. Be sure you’re using it to your advantage. While we’ve talked a lot about search functions, when it gets right down to it, Twitter is a giant search engine. Use hashtags to your advantage! If you’re looking for a specific skill, try hitting up Twitter’s search feature and entering a hashtag. If you’re still new to Twitter, here’s an easy example. Say you’re looking for someone with accounting skills. You’d go to Twitter, click on the search bar, and type in ‘#accounting’ or ‘#Accounting’. The results you’ll get back will be tailored to the hashtag, so you’ll be saving valuable time. On a far more conventional note, you can always turn to an old standby like ZipRecruiter. And when they advertise a ‘resume database‘, they’re not kidding. One of the largest and most popular jobs hosting sites out there, ZipRecruiter is currently home to millions of resumes. If you’re really looking to save time, ZipRecruiter may be the site for you. Enter a description of the job you want to source and ZipRecruiter will send it to over 100 different sites! You can even pre-screen candidates by setting some screener questions before they apply! No need to wade through hundreds of unnecessary applications anymore. Even if you don’t have a lot of money to spend on your candidate source, ZipRecruiter can help. Posting a job costs nothing, and you get a limited number of resume downloads per month. There is a clever workaround, however. Previewing resumes is absolutely free. While you won’t get all the data on a resume, you can still get a good sense of whether or not they’re worth pursuing. For a little extra, you can go premium and download an unlimited number of resumes per month. While there’s something to be said about social sites, nothing beats word of mouth. Employee referral is generally the top way to source an employee and has been for decades. Thankfully, word of mouth has caught up with the 21st century. This is where Simppler comes in. At its core, Simppler is essentially a combination of LinkedIn and Facebook. Users sign up and enter a few details such as work experience, skills, and education. Then, they connect with others within their company or friend group. Set up a network for your company, and use your own employees to source your next candidate. See who they know, they reach out using Simppler’s easy messaging tools. Best of all, Simppler includes a few templates for emails. No need to worry about structure or formatting! Just plug in a few details and you’re ready to find the best person for the job. Real-time messaging apps have become all the rage in the last few years. Apps like Discord have made a big splash, letting users connect via a shared interest. These messaging apps can be used to source new candidates, as well. Slack is a great example of a productivity-based chat app that makes workplace communication far easier. But it’s utility isn’t just limited to the workplace! Like Reddit, you can use Slack chats to find those with specific interests or skills. It’s a particularly popular site with those in the tech field. And since Slack is a chat-based application, no need to wait! You can talk with candidates in minutes to see if they’re the right fit for you and your company. Here’s a cool site that you can feel good about using. These days, more and more students are having a harder time finding jobs. With more young people entering the workforce, you’ll need a good way to weed out the good from the great. 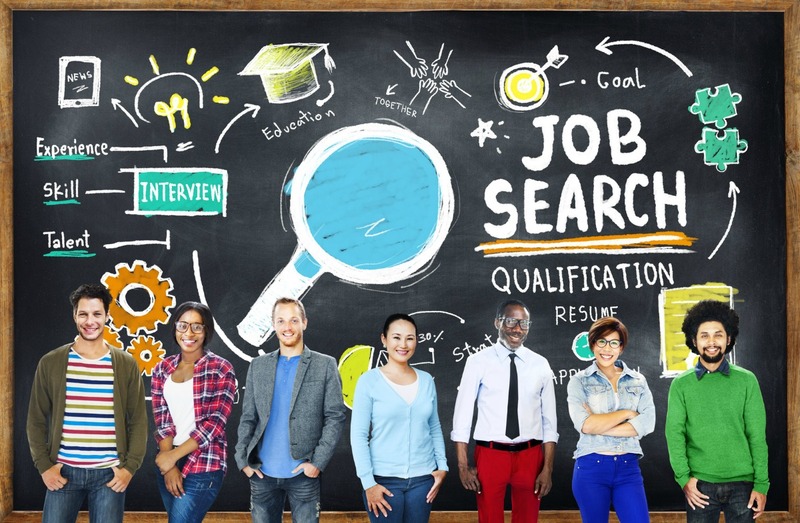 Thankfully, WayUp is here to help both students and recruiters find their perfect job. Since you’ve got so many options, you’ll be able to find someone to fill your job at any level. You also have the option to search for students via school if you’re after specific skills. For instance, if you’re looking to source an engineering job, you can search a top school like Georgia Tech or Princeton. It can be a bit pricey, at $75 per month, but you’re getting a lot of customization for your money. Plus, WayUp features a very thorough set of criteria. No need to worry if the candidates that reach your inbox are truly qualified! Whether you’re looking to source the best employees, or you want your resume read, we can help! Be sure to keep your eyes peeled for more helpful tips on our blog.